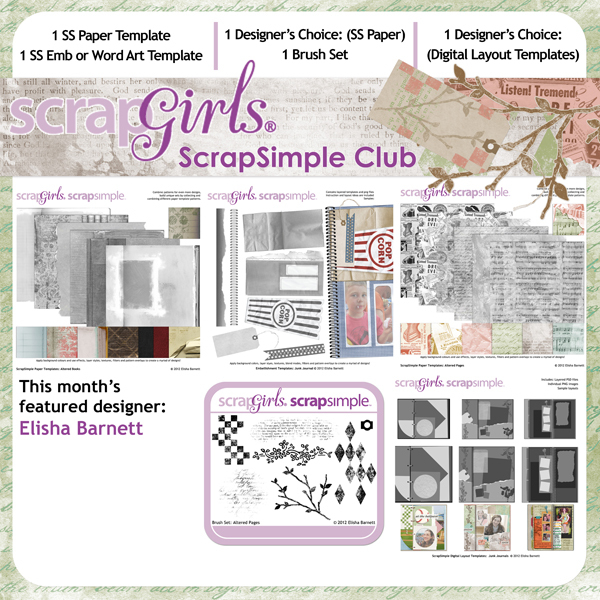 Each month we get a glimpse into the creative process of our Scrap Girls ScrapSimple Club designers, and this month’s designer is Elisha Barnett! 1. Where did you find the inspiration for this club? I suppose you could say that it was from a pile of hymnals at my church about five years ago. We had just switched to a new hymnal, and the old ones were offered to the congregation to take home. There was a sign there, “Take one, take two, take as many as you can use!” I took four, thinking that I could use them for meaningful craft projects. 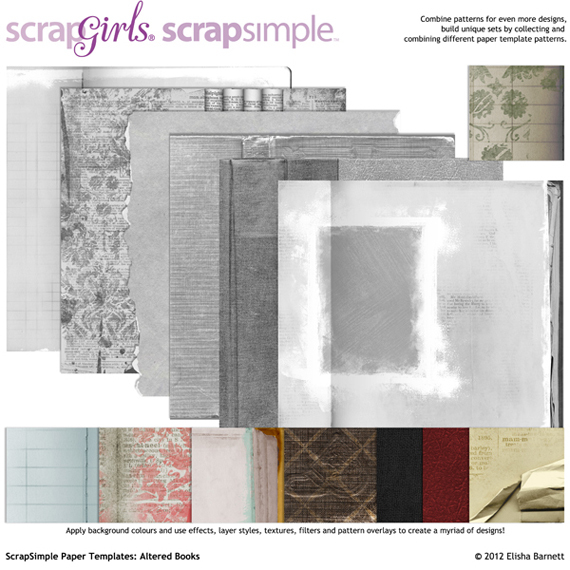 I found a few idea books, and my mind started racing with all the beautiful projects I could create altering the hymnals to make gifts, prayer journals, and home decor items. 2. When you started working on the club, what was the first thing you did? I remembered that old project idea! Like many craft projects I want to do, I have great intentions but little follow through. So often, just the thought of getting out my supplies and making a mess all over my dining room table is enough to discourage me from even starting. 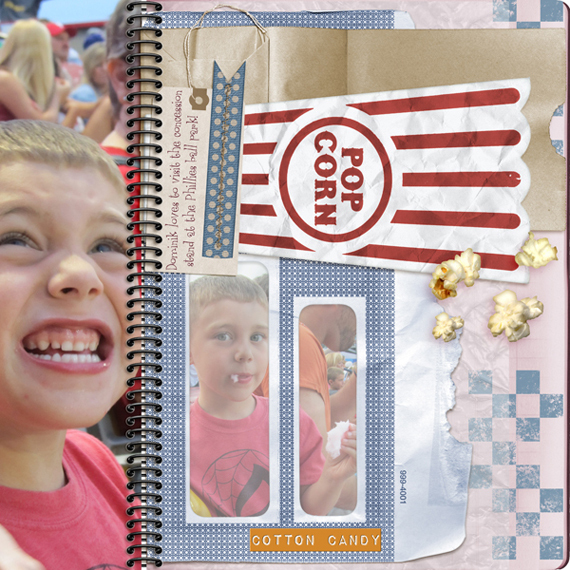 That’s why I love digital scrapbooking projects so much! My supplies are always at hand and there’s no mess. I gathered together one of those hymnals, several other old books that I’d collected with craft projects in mind, some vintage newspapers I’d found in my uncle’s basement (again, with a craft project in mind! ), and some odds and ends that I’d saved from going into the trash. I looked through my idea books, browsed Pintrest, and did Google searches for more inspiration. I came up with some preliminary designs. This helped me solidify the direction that I wanted to go. 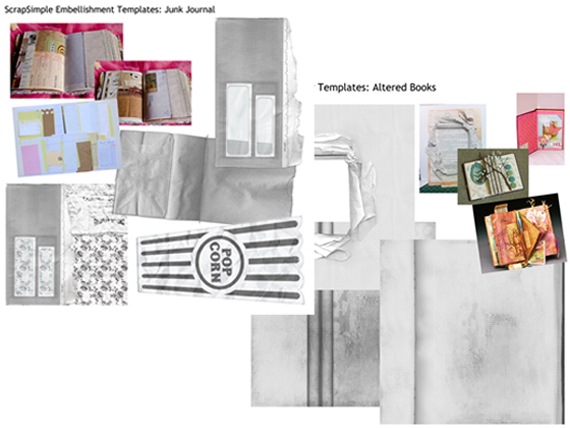 Here is some of my preliminary work, along with photos of the inspiration projects. 3. The club includes several products. Did you start and complete each one before moving on to the next? 4. How long did it take you to design this club? I started the preliminary work in September. I had the design work completed by the last part of November. I spent the first week or so of December doing last-minute tweaking. All in all, it took about three months. 5. What was your favorite thing to design? 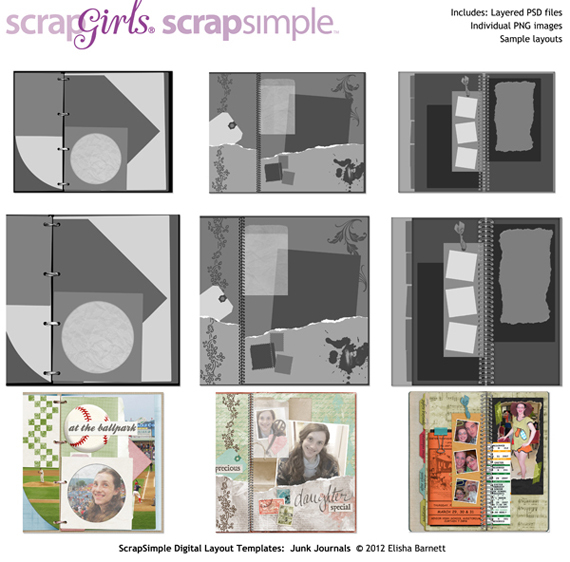 Hmmm… it was probably the layout templates – ScrapSimple Digital Layout Templates: Junk Journal. 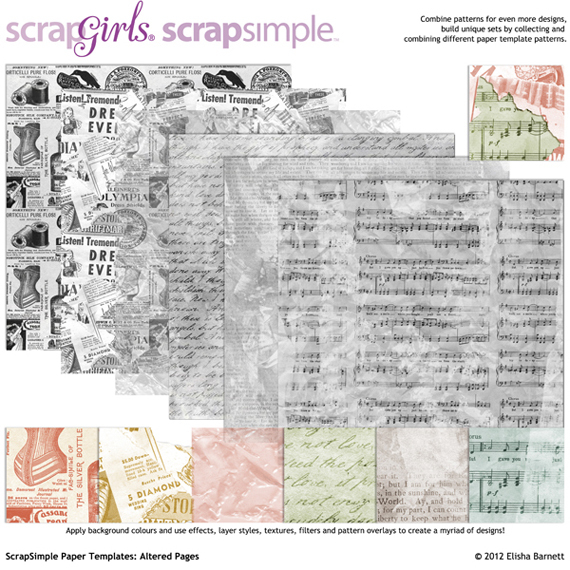 I’m inspired by the junk journals made by people by just binding together paper scraps, envelopes, cards, and even junk mail. I was excited to express this look digitally and experimented with different kinds of “binding” – narrow spiral, double spiral, and even ribbon. 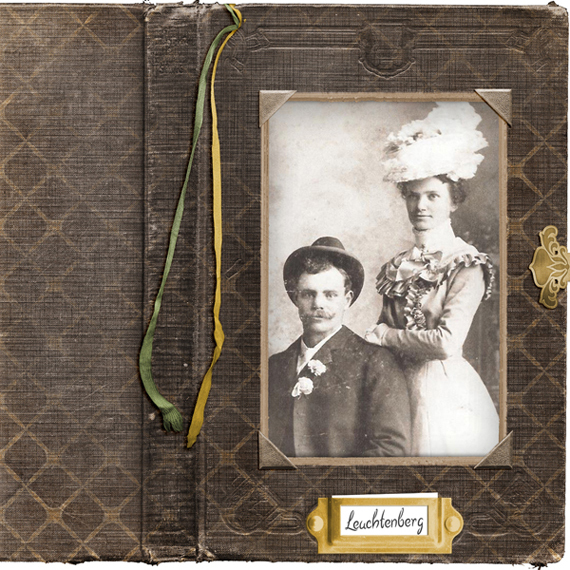 They were designed so that you could add your own digital ephemera to your pages, like scanned tickets, travel brochures, and other memorabilia. Just clip them to the existing layers or slide them in on a new layer under the binding! 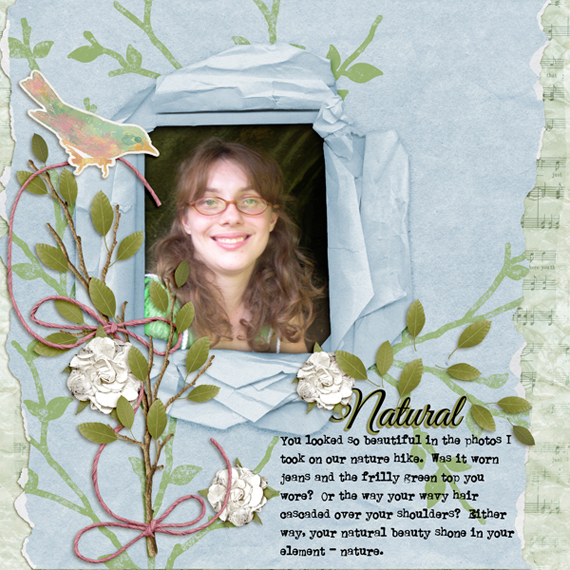 It was a lot of fun to create and having the templates make it super-easy to make a layout. I look forward to seeing what you do with them! 6. If you could pick one word to describe your club, what would it be? One word? Too hard! 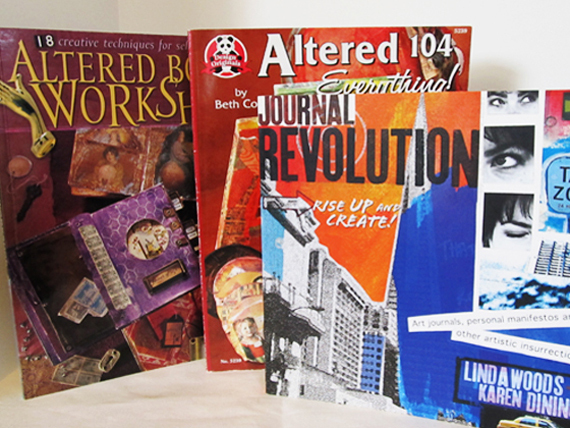 How about two words – “ALTER ME!” These products are all designed to be customized by you. 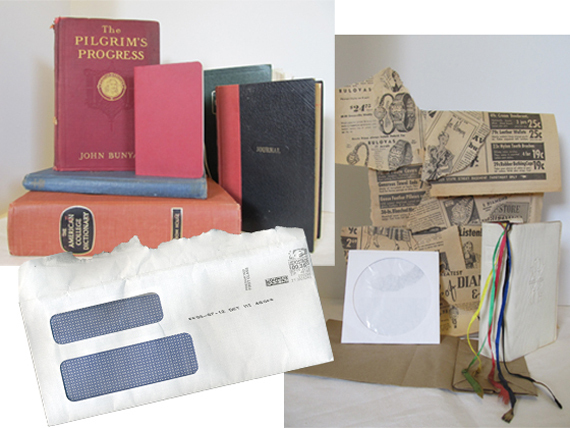 When you do an altered project – alter a book, a journal, or anything – you change it from one thing to another, and it is your own creation. Recolor the templates! Move layers around to suit your needs! Use a layer from one template in another template. You be the designer! The sky’s the limit! 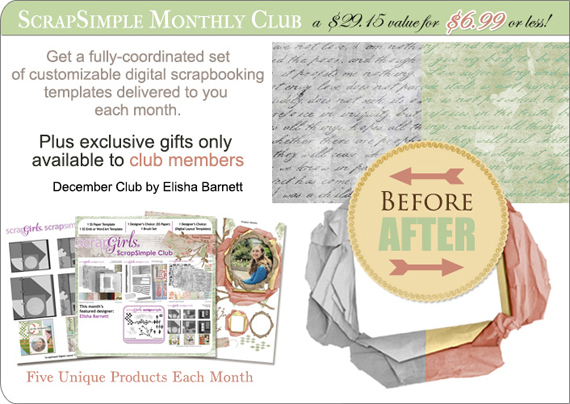 Thanks so much, Elisha, for sharing the inspiration behind your club with us! We think others will find the story behind this club just as fascinating as we did!